The market continued its bullish character from the end of the previous week and broke out quite convincingly to the upside despite a zone of strong resistance. 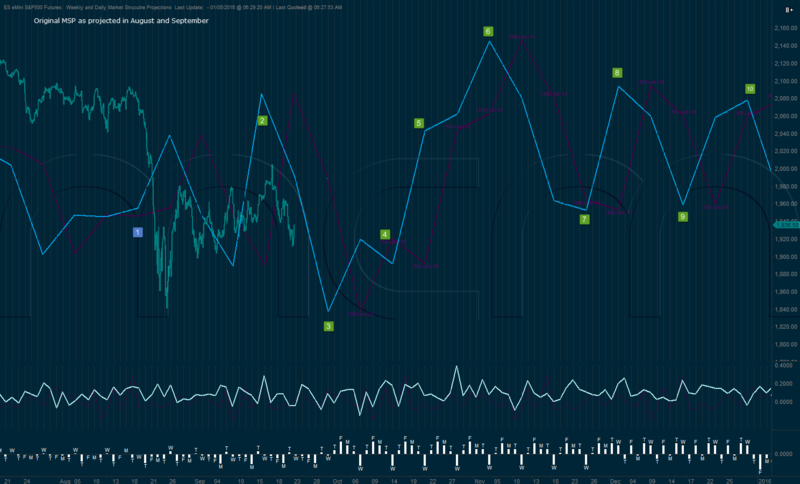 As a result, the weekly cycles moved further above their resistance levels in what can be considered a break-out. ES just confirmed the up impulse (by having the mcm-MA moving above the break-out level), while YM despite needing more work before confirming an impulse, has moved significantly above the resistance level as well. 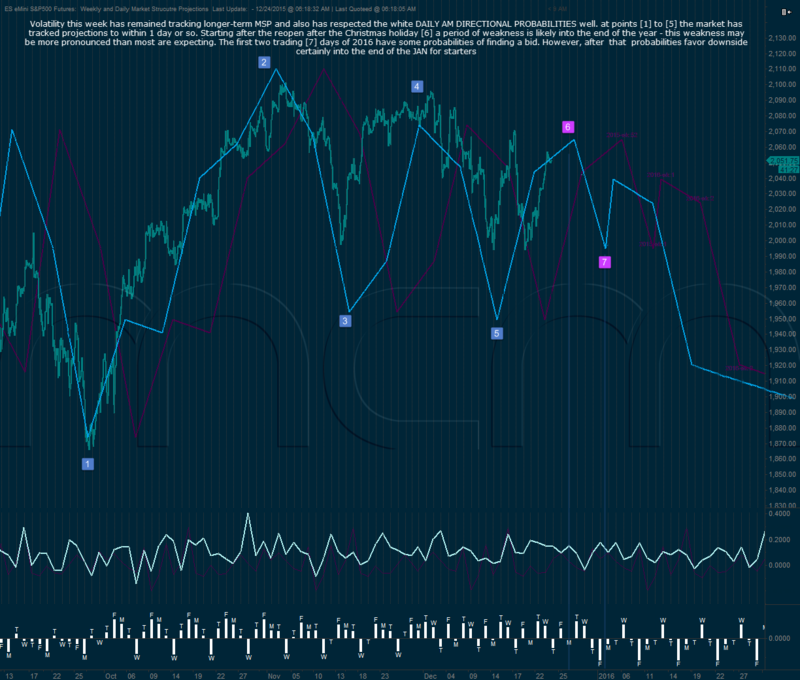 These new up impulses on the weekly cycles are significant and change the intermediate term picture to bullish. 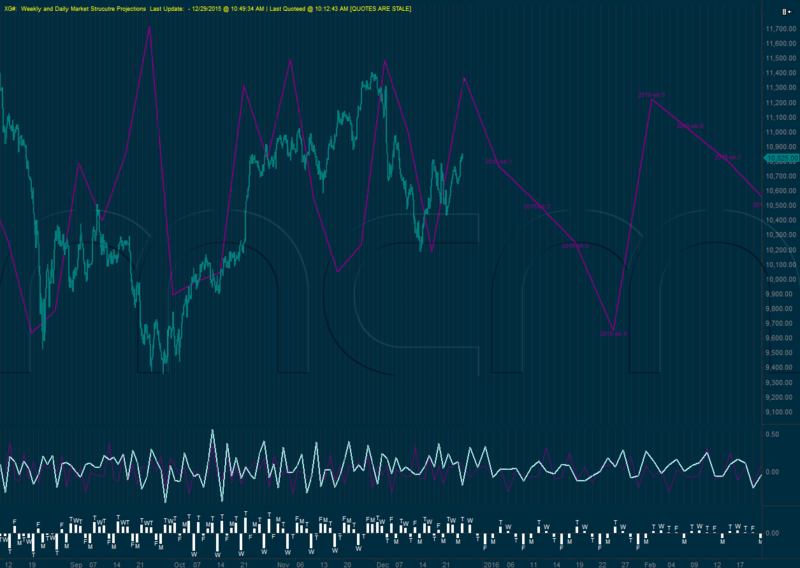 Same thing is confirmed by the daily cycles. 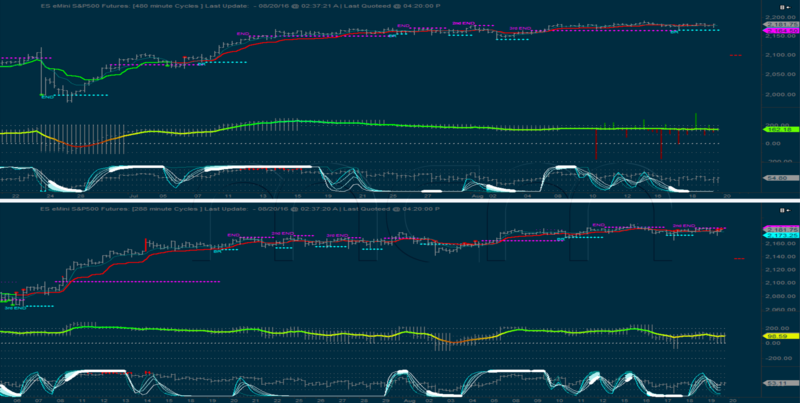 Both ES and YM are in confirmed (nested) up impulses. 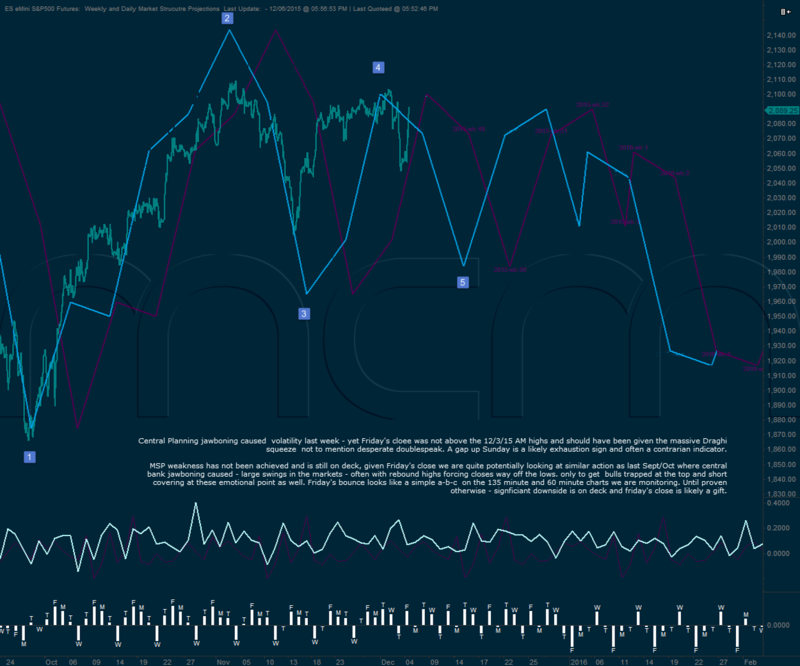 The weekly cycles are in an interesting position, as ES is close to confirming the up impulse, while YM is still a few weeks away from that. The mcm-MA on ES is now crossing the resistance level and even if YM is under-performing, both markets have moved enough above the resistance levels to rule out a mere spike above. 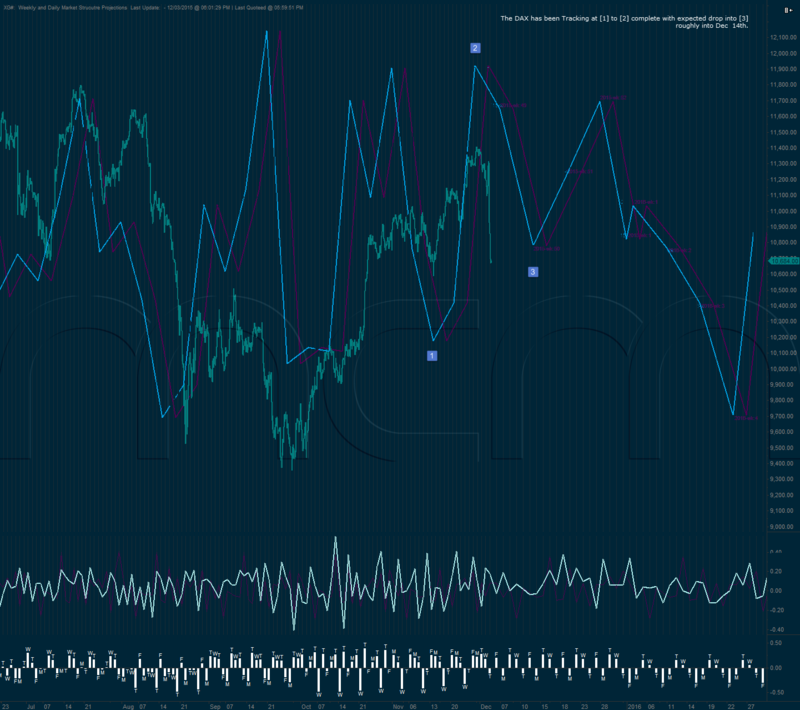 If it would not be for the structure of the daily cycles, a prolonged up move as a result of this impulse would be normal expectation. 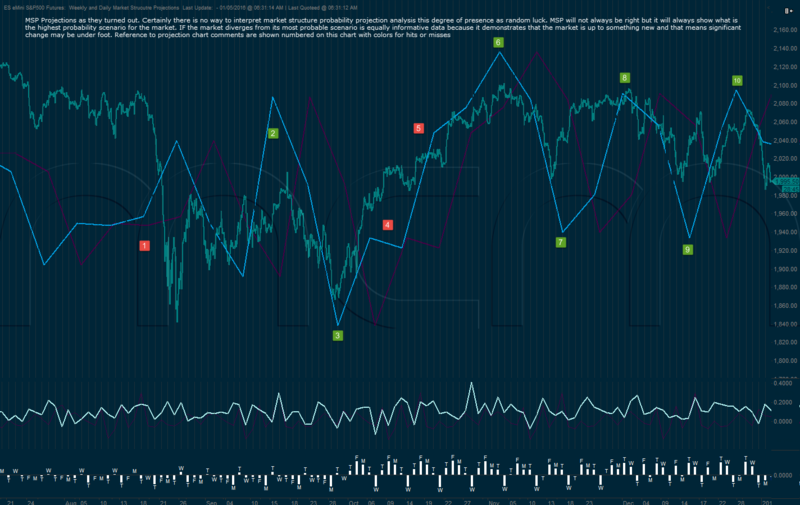 On the daily cycles, we had a significant event last week. YM had triggered a new support level just below the 2nd END resistance and on Friday, it triggered the 3rd END resistance to that support, marking the complete unwind of the massive up impulse which started close to 16,500. That is a very important level and because it is a 3rd END resistance, it has lower than normal odds of being broken above. The up energy of this impulse fully dissipated at this level, and the normal expectation is for a move in the opposite direction (i.e.down). ES is in a slightly different position since it never triggered the 3rd support and END higher, as the market never moved back below the 2nd END resistance after moving slightly above it. However the market never moved significantly above that resistance level, so coming back below it would not be surprising. The terminal status of the up move on the daily is what makes unlikely the start of a true impulse on weekly, despite the near confirmation on ES. However, if the daily cycles manage to break the resistance levels against the odds and start a nested impulse up, that would be a very big warning that a new big up move is coming, since we would have impulses up on daily and on weekly. 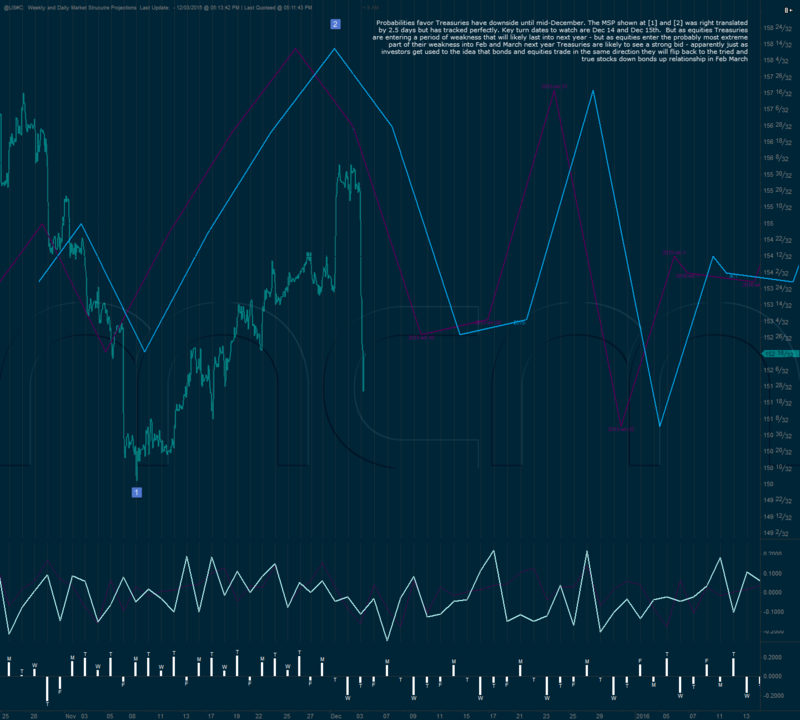 So how the daily cycles shape up becomes key for defining the intermediate term direction. 480 and 288min cycles are still in the area of the plateau which we were mentioning last week, although the market did manage to make a 2-3 points higher high. 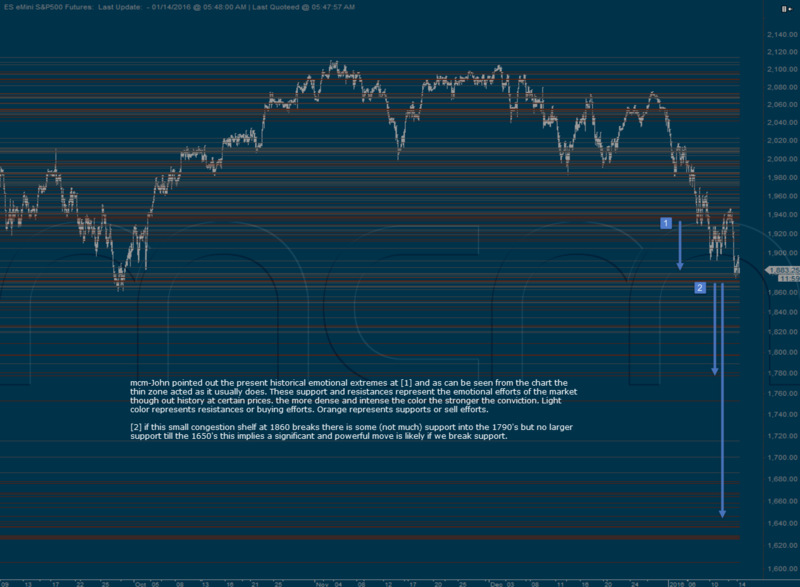 288 is in the unwind phase of a new up impulse and already had a 2nd END resistance very close the the highs. 480min had a BR support very close to the break-out level of the nested impulse up, which gave it higher than normal odds of holding; which it has done so far and we are looking at the next END resistance (higher) to mark a potentially significant turning point. 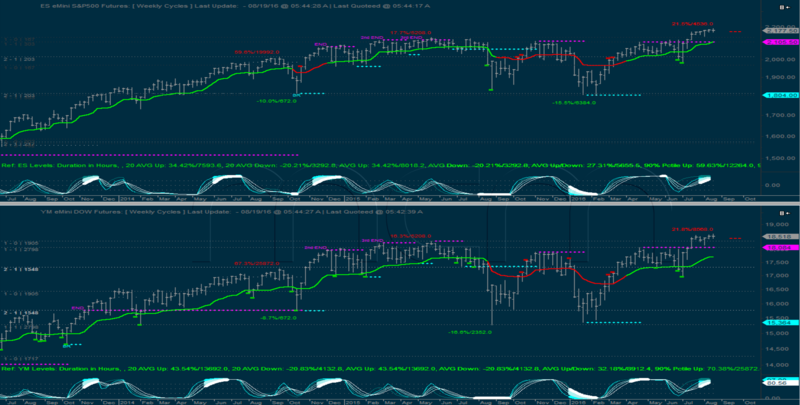 This is a quick post to show a variety of MSP charts. All of which point to the immediate area and immediate timing is the beginning of an episode that lasts for several months. 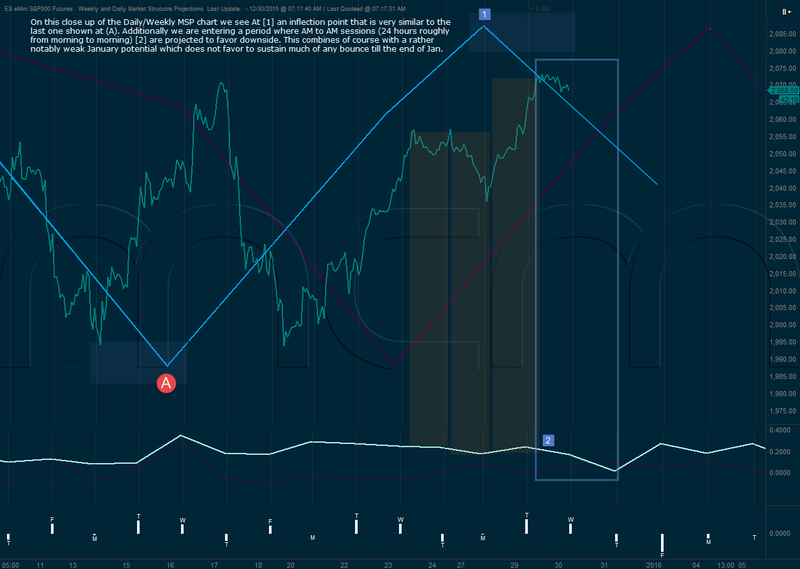 There course will be bounces in this decline from our present inflection point. 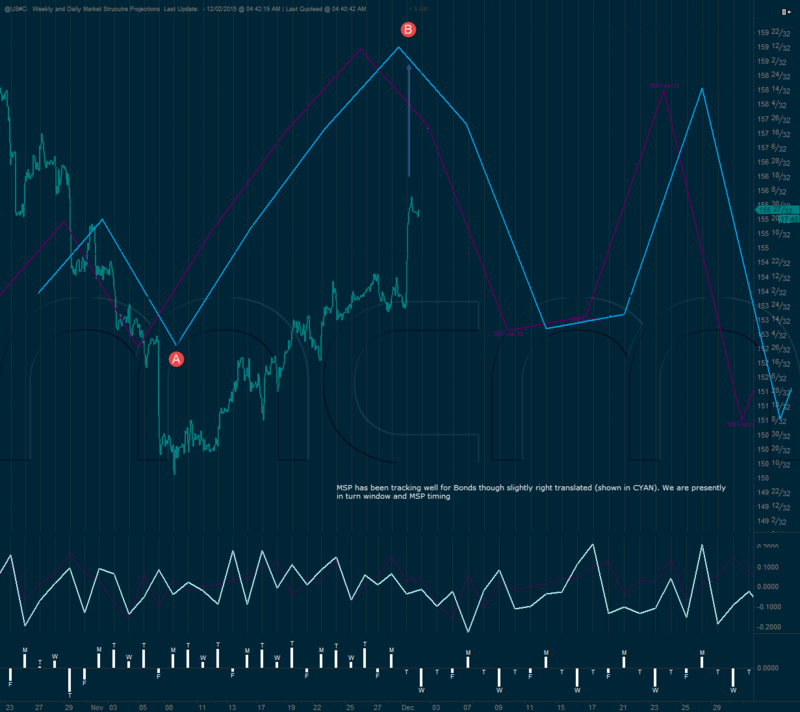 Towards the end of January and towards the end of February or two points to look for bounces in a larger rally in March. 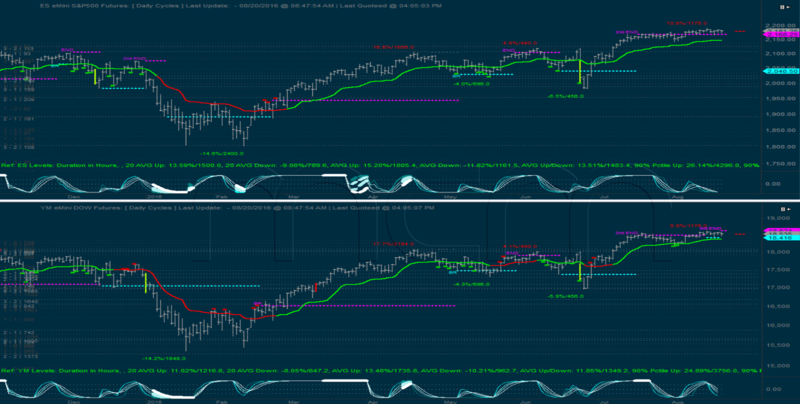 Meanwhile, back to business at hand, below are charts of the current detail and close up view for the S&P500, also some overview that shows a preponderance of probability also converging presently as per totally independently calculated MSP for the DAX and Russell 2000. Happy New Year and wishing you a healthy, happy, safe and prosperous 2016. As with US equities. Mid-December is key for the DAX market as well. 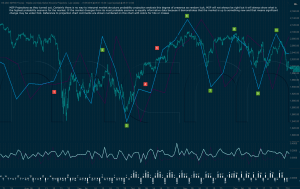 Downward pressures amid the seemingly omnipresent bullishness surrounding the Santa Claus rally have not only appeared for equities and bonds as we have projected on these pages, but also for the DAX. The DAX is likely entering a much stronger downplays than the US equity markets in that initial phase appears to have kicked off, which will you yield to some sort of bounce towards the end of January. Downward pressures. 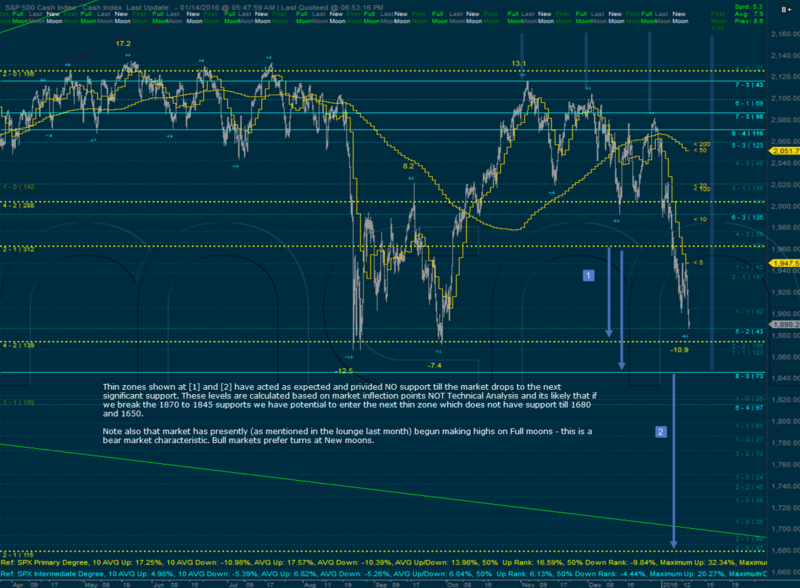 Overall next year for the DAX appeared much stronger and persistent then for the US markets. In the meantime. 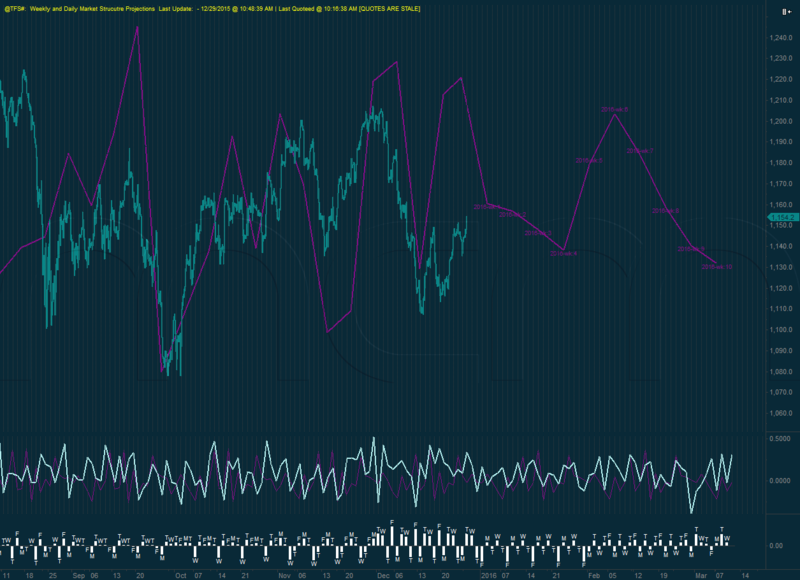 As with the US markets they bounce into Christmas from the middle December likely. However, diverging from the US markets be aware that there is significant potential for a very weak last week of the year. 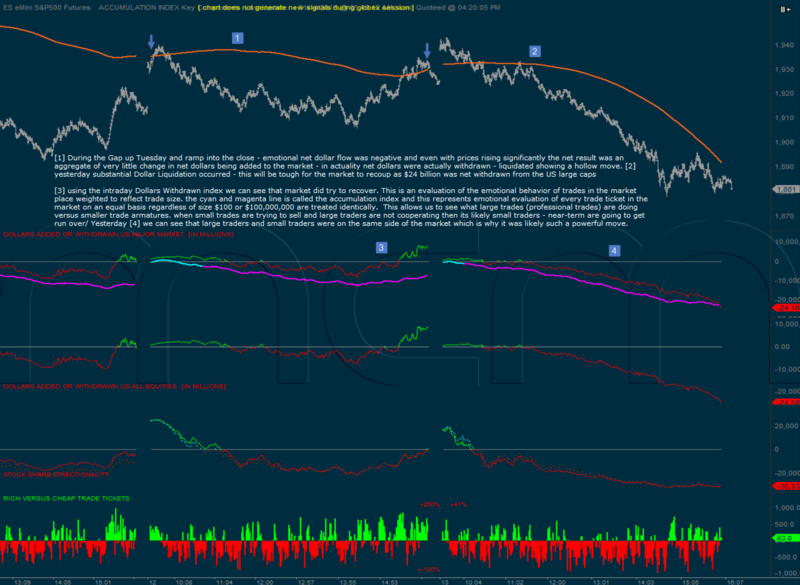 Recently posted microstructure projections treasuries, which were right translated two and a half days. The direction and timing of tracked in stellar fashion and we are still looking at a decline in treasuries into mid-December. Key turn dates to watch come in around the 15th. One of the most interesting things that appears to be happening is is that the direction of treasuries and equities are syncing. People in general are not used to this relationship and expect that treasuries trade upwards when stocks trade downwards. 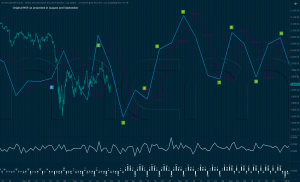 It appears that the synced and correlated behavior between equities and treasuries may continue into next year as both suggest weakness into February. 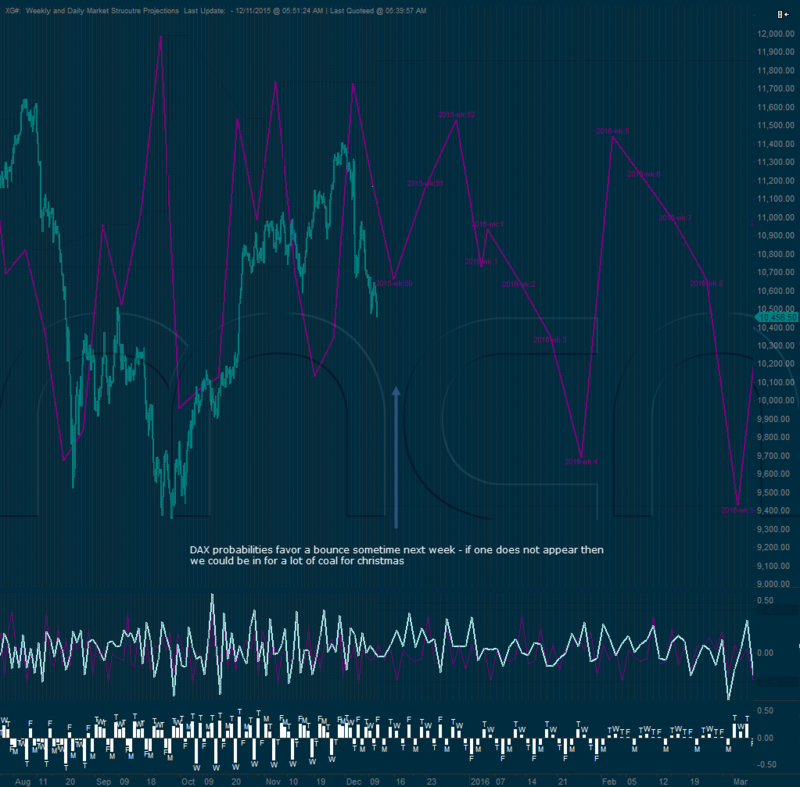 It is possible that as equities start to accelerate into the completion of a down move that is possible into February and March - that treasuries suddenly decorrelate and start trading inverse to stocks once again. This is an interesting trap and it is also something that we have seen repeatedly with these central banker distorted and manipulated markets. Disparate markets all of a sudden start trading due to liquidity or manipulation or imbalance in the same direction and then when liquidity stresses change start trading in the opposite directions. This is happened countless times with different currencies vs. different commodities in different equity risks just as investors get used to the relationship the relationship changes. This is something to watch for in the behavior of treasuries, which appear to be linked at this time and for the foreseeable future with the prices of equities. In response to a question about updated MSP on bonds, below is an MSP chart which represents the bond behavior is on target, and tracking. Probabilities would favor a turn near-term and it is important to watch the white daily line for daily direction opinion. With this line a series of days of weakness may show up as a drop but the goal of this is the only project the oscillation for each day from previous morning to the next morning - therefore we can see that there was upside bias into this morning which should lead to downward bias to tomorrow morning. Either way, it appears we are in an important area for bonds.